Developed in Europe in the late 1700s, fire insurance maps were originally created for underwriters so that they could assess the fire liability of properties that their companies insured. In the US, the Sanborn Map Company, founded in Pelham, New York, became one of the best known producers of these large-scale maps. Beginning in 1867, Sanborn issued fire insurance maps for communities across the United States, Canada, and Mexico. 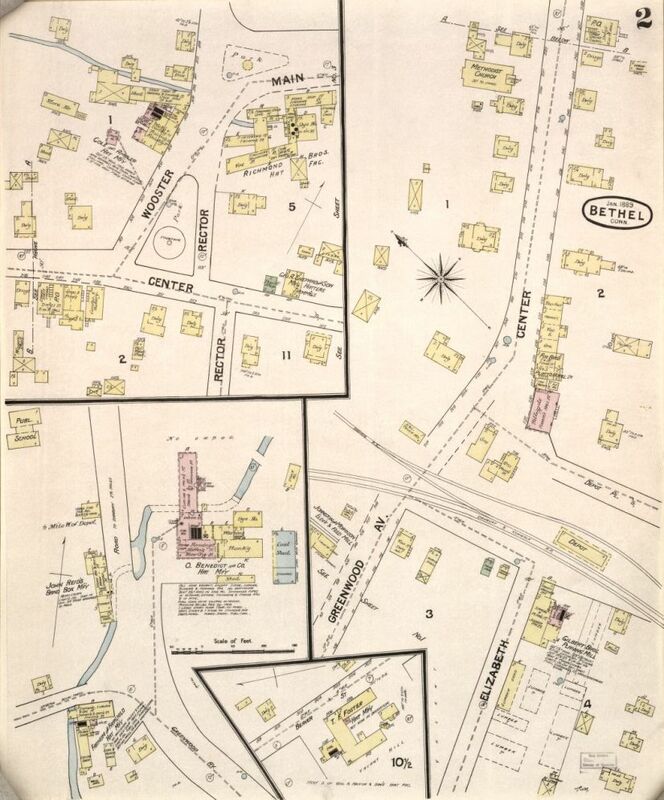 Today, Sanborn Fire Insurance Maps from decades past provide historians and others with useful evidence about the layout, growth, and development of cities, towns, and neighborhoods. 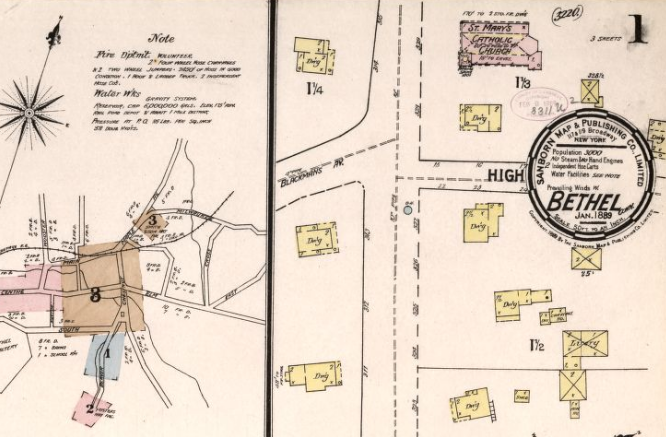 For example, the maps provide detailed information about buildings, including their dimensions, construction details, number of stories, property lines, and addresses. The maps also indicate the surrounding natural and built environment by illustrating such features as rivers and canals as well as railroad corridors and the location of water supplies. “Connecticut Sanborn Fire Insurance Maps.” Yale University Library, 2016. Link. 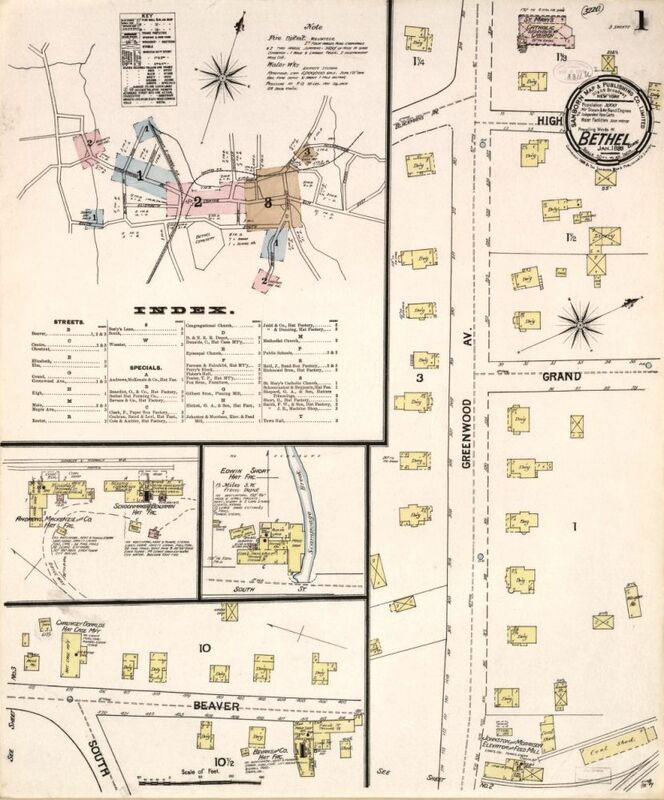 “Sanborn Fire Insurance Map from Bethel, Fairfield County, Connecticut.” Library of Congress. 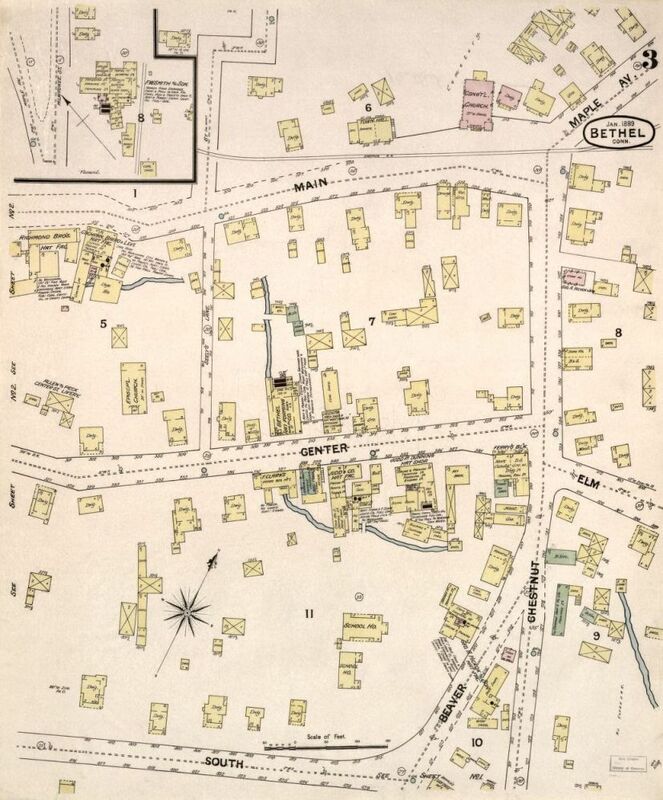 Bethel, CT: Sanborn Map Company, 1889. Library of Congress, Geography and Map Division. Link.